Even the most conscientious car owners don’t always give as much thought as they should to what happens under the hood of their car. Under the hood is where the car engine does its job. If all of those moving parts aren’t clean and well-maintained, some or all of them could lock up or become damaged. One of those parts is the piston. What Is a Piston, and What Does It Do? Let’s start at the beginning. At the most basic level, a combustion engine requires fuel, pressure, and a spark. Pistons work in conjunction with cylinders to provide those elements. 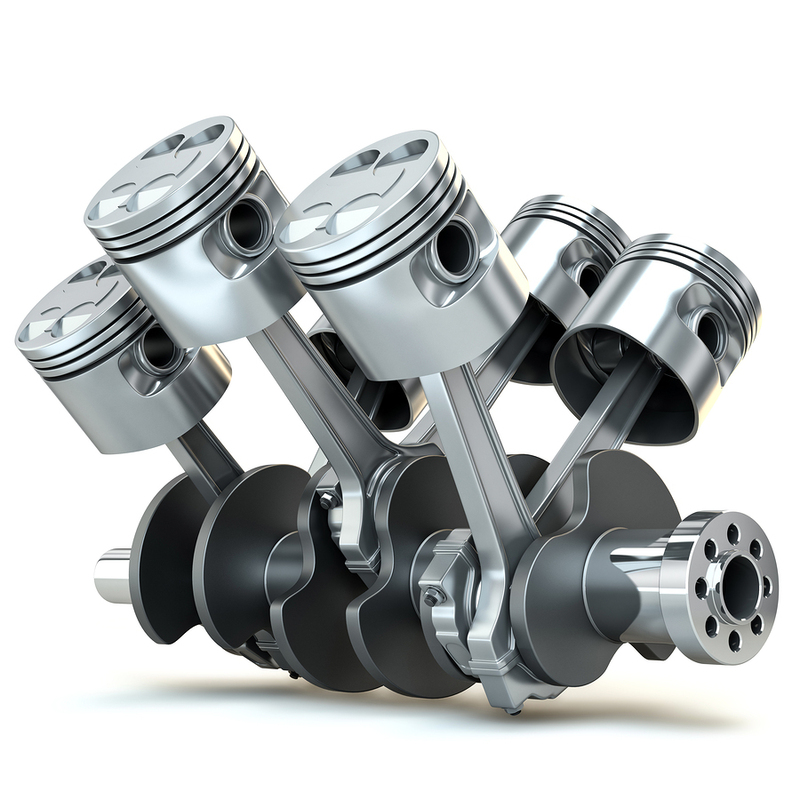 When pistons rise, pressure is created in the cylinder. The cylinder contains a vapor composed of air and fuel. When a cylinder is at its highest point, a spark from the spark plug ignites the fuel/air mixture. This reaction sends the piston down at a high rate of speed. Other components then transfer that energy to the wheels. OK…What Does That Have to Do With an Oil Change? Oil lubricates a car engine’s moving parts. Think of oil as a coating that protects skin from chafing. In addition, oil draws heat away from a car’s working parts. This is important as a car’s engine can get extremely hot. It also helps prevent buildup from varnish and carbons. When it comes to pistons, oil keeps the pistons from getting scratched during their movement through the cylinders. Eventually, scratches can cause the pistons to lock up — which can result in an engine that doesn’t work and a car that doesn’t drive. Even if things never go that far, sludge and residue can hinder the piston’s movement. This can keep the car engine from operating at maximum efficiency. What Do I Need to Do toTakeCare of My Car Engine’s Pistons? Get regular oil changes at the intervals recommended by your manufacturer. In addition, make sure to choose synthetic oil. Synthetic oil has a lot of benefits that natural oil does not. First, it’s created in a lab. That means it can be tweaked to serve different purposes (as opposed to using natural oil). Manufacturers engineer synthetic oil to last longer and to be slicker than natural oil— which means it does a better job of reducing friction. Your car’s paint and finish are important, but what happens under the hood is important, too. Next time you treat your car to a spa day at Mr. Clean Car Wash, ask about an oil change using synthetic oil.